After several teasers, Europe-based lens company Irix has finally unveiled a new lens with a new durable finish the company calls the Dragonfly. 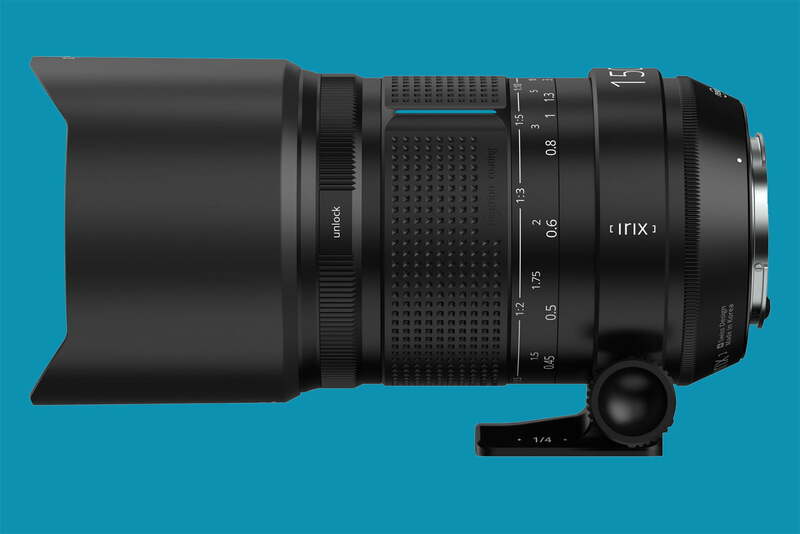 The Irix 150mm f/2.8 Macro 1:1 lens, announced on Monday, September 24, uses an aluminum frame that’s encased in aluminum magnesium allow and weather-sealed for a mix of durability and a lightweight design. The lens will be available in full-frame Nikon F, Canon EF, and Pentax K mounts. The longer 150mm focal length, which deviates from the company’s earlier ultra-wide angle lenses, will help throw the background out of focus while also preventing shadows from the lens appearing in the image. The lens achieves a 1:1 magnification ratio for true macro and focuses as close as 0.92 feet from the front of the lens. The lens is constructed from 12 elements in nine groups, including super-low dispersion glass and four pieces with higher refractive index to minimize distortion. Like other Irix lenses, the 150mm macro is a manual focus lens. That focusing system, however, uses an internal design that allows the lens to stay the same length when focusing, a plus for precise macro focusing while also allowing for better weather sealing. The focus ring can also be locked in place with a second focus lock ring. Inside the lens, a CPU allows the lens to communicate with the camera, including recording the EXIF data. The communication between body and lens also allows for using semiautomatic modes and controlling the aperture from the camera body. The lens launches a new design for Irix called the Dragonfly, a name that refers to that frame being enclosed in an aluminum-magnesium alloy. The finish mixes elements from the company’s Firefly and Blackstone lenses. The company says the new finish maintains strength and weather resilience while also making the lens lighter. The lens is also sealed around the front element, focusing ring, focus lock ring, and bayonet mount. With the longer focal length, Irix also includes a lens hood and a detachable tripod collar. While the Irix 150mm f/2.8 Macro 1:1 lens will be part of this week’s Photokina, the company hasn’t yet announced a release date or price.